The 10 Conditions of Love is a love story—of a woman, a man, a family, a people and a homeland. 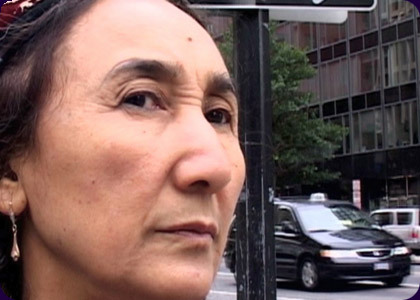 It is the story of Rebiya Kadeer, a woman accused of inciting terrorism within China's borders. It is also the story of the 'other Tibet,' the country its Muslim people call East Turkestan, but which the Chinese call Xinjiang Province. Exiled in the US, Rebiya Kadeer is fighting for the human rights of her people, the Uyghur, China's oppressed Muslim minority. But Rebiya Kadeer's campaign condemns her sons to ongoing solitary confinement in a Chinese prison. Having done six years solitary herself, she understands the appalling consequences for them—but she will not relent. Jeff Daniels has worked in New York, Los Angeles and Australia on a number of commercial and documentary projects including Ken Burns' Jazz documentary series, The Justice Files, The Cindy Margolis Show, American President documentary series, A Matter of Choice, Muddy Waters, Wildness, Troubled Minds—The Lithium Revolution, Hitmakers and The Cable. He has also written and directed a number of short documentaries covering topics from Jewish-American identity in Holocaust films to Gaelic football culture in the Bronx. John Lewis is an independent documentary and TV producer. His most recent productions include Constructing Fear: Australia's Secret Industrial Inquisition and PNG: The Rules of the Game. He is executive producer of Penicillin—The Magic Bullet and producer of Troubled Minds—The Lithium Revolution, which won the Vega Award, and was a finalist at the Beijing International Science Documentary Awards. Previous productions include AFI Award-winning documentaries, The Good Looker and Rainbow Bird and Monster Man, and the highly acclaimed ABC TV art series Eye to Eye. He also wrote, directed and produced the ABC TV parliamentary program Order in the House. Dennis Smith is an award-winning filmmaker with a background in history, health, social justice and science documentaries. He has worked with large and small crews around Australia, in the US, in the Philippines, Ethiopia, China, Korea and Japan. His documentary Rainbow Bird and Monster Man was nominated for four AFI Awards, a Logie Award and won two Awgie Awards. His film Troubled Minds—The Lithium Revolution received a 2004 Awgie Award, was the winner of the Main Prize at the Vega International Science Film Festival in the UK, and was a finalist at the prestigious Beijing International Science Film Festival.